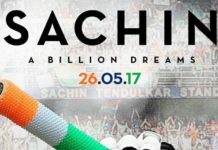 Sachin A Billion Dreams Trailer: Sachin biopic trailer has been released today and it will give you goosebumps. 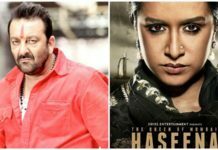 Movie releases on 26 May 2017. Sachin: A Billion Dreams movie starring Master Blaster Sachin Tendulkar is produced by 200 Not Out Productions. The movie is all set to hit the big screen on 26 May 2017 and the trailer was released today by Sachin himself. If Cricket is a religion then Sachin is our God. The trailer shows how a wild naughty child full of hopes and dream went on to become the best batsman of all time. Sachin is not only a sportsperson, he is a phenomenon and the trailer manages to showcase it in a grand way. The background music composed by Academy Award winner AR Rahman in conjunction with chants of Sachin Sachin will give you goosebumps for sure. The trailer also shows how cricket was the first priority now only for Sachin but for his family as well. Former Indian captain MS Dhoni and Sachin’s wife Anjali Tendulkar also finds a place in the trailer. Former Indian captain MS Dhoni and Sachin’s wife Anjali Tendulkar also finds a place in the trailer. Sachin Tendulkar narration is the highlight of the trailer and leaves you asking for more. If you have witnessed Sachin’s magic over the years then the trailer will give a recap of your most memorable childhood days. The movie is not looking like any typical biopic shot in feature film style. It seems to be comprising of documentary style shots covering every aspect of Master Blaster’s life from a kid to his retirement from Test Cricket. Directed by James Erskine, the movie will be released across the world on 26 May 2017. Well, the trailer has certainly raised the expectations and it would be interesting to see, how the movie performs at the box office? 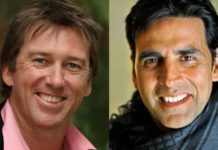 Australian Cricketer Glenn McGrath would like Akshay Kumar to play him in his biopic!